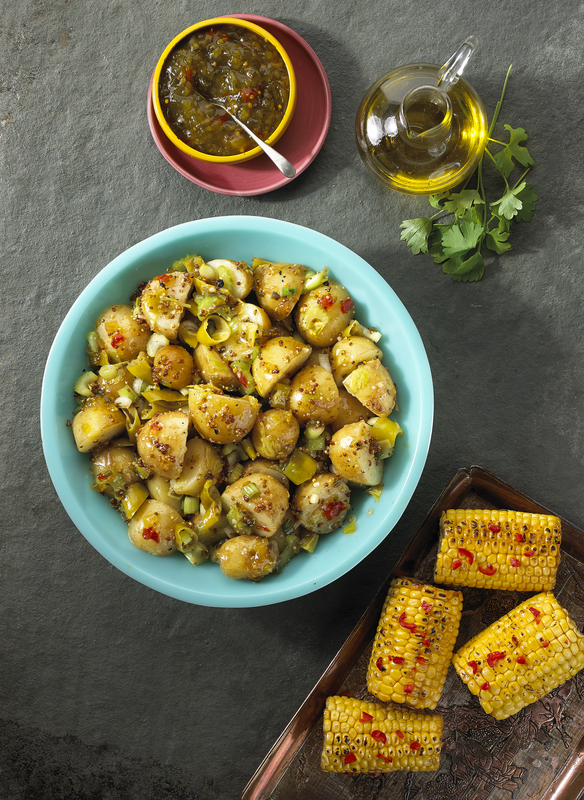 Pepperoncini Potato Salad | Flavor Your Life. Boil potatoes in salted water until tender when pierced with a fork, about 8-10 minutes. Drain and leave to cool. In a medium bowl, whisk together the extra virgin olive oil, grain mustard, and red wine vinegar until blended. Add the chopped scallions, celery, pepperoncini, and green relish. Add the cooked potatoes to the mixture and toss gently together. Season with sea salt and pepper to taste. Place in a large serving bowl. Great served at a summer cookout with grilled meats.